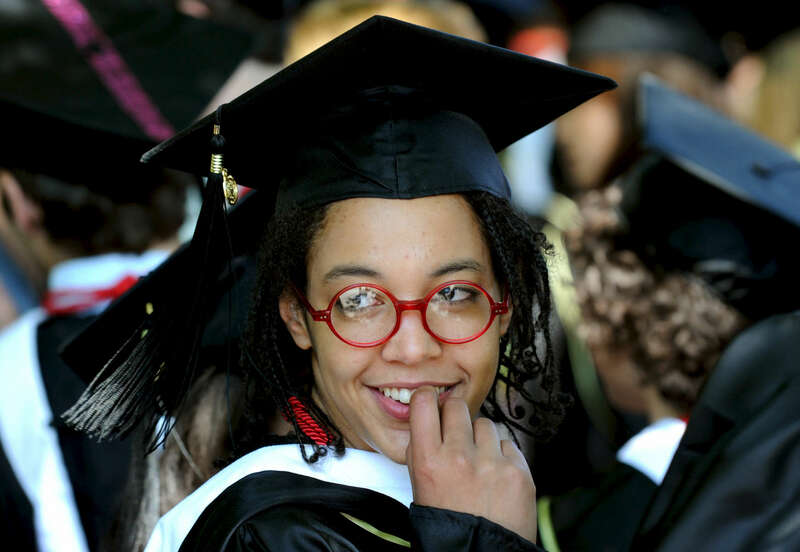 Zoe Brecher awaits Skidmore College's 101st Commencement at the Saratoga Performance Arts Center Saturday, May 19, 2012. Brecher was one of 627 candidates for bachelors degrees. The school also awarded honorary degrees to jazz musician Terence Blanchard, biographer Ron Chernow and Suzanne Corbet Thomas.